Home > Blog > Heater Hire > Thermostat arguments hotting up with winter now upon us! Thermostat arguments hotting up with winter now upon us! With Christmas fast approaching and temperatures plummeting accordingly, couples up and down the country are engaging in intense stand-offs – and you might be surprised about the reason why. An annual battle for the thermostat seems to have commenced in most households which has predictably sparked an endless cycle of disagreements. Andrews Heat for Hire recently surveyed 2,000 cohabiting couples on the matter, with around half of respondents admitting that they have quarreled with their partner over the temperature of their home. 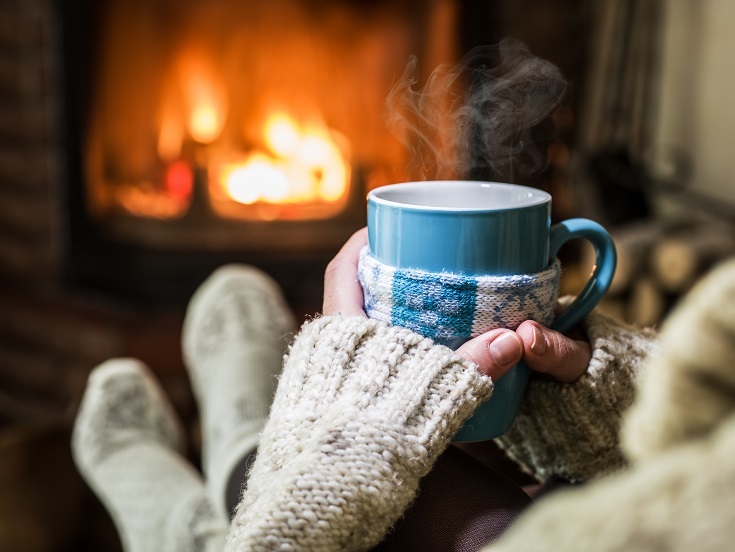 Our findings also uncovered that more than 90% of people switch their central heating back on before December which means that arguments are extremely prevalent at this time of year! A common cause of conflict is the cost of overuse, with 62% of those asked pinpointing rising energy bills as a factor they’re particularly wary of. This mindset is responsible for one in seven couples delaying warming up their property for as long as possible. Naturally, some take matters into their own hands. Almost 60% have returned homed to discover the temperature has been changed to befit the preference of their partner – a regular catalyst for spats! One in six said they frequently control the thermostat via an app which appears to be an increasingly popular method by which to monopolise the central heating system. Of those who control their thermostat through their phone or tablet, over two thirds have used it to change the temperature behind their partner’s back. The study revealed that this kind of underhand behaviour is among the most frequently pinpointed traits that people dislike of their other halves. Snoring, mismanaging money and being lazy were also consistently selected but as the statistics above prove, it’s difficult to find something more divisive than people’s preferred temperature in the home! 1. Have you turned the central heating on in your home yet? 2. In which month does the heating typically go on in your household? 3. Do you ever worry about how much your energy bills will cost if you turn on the heating too early? 4. For what reason might you wait till later in the year to turn the heating on? 6. When you have the heating on, how often does your partner adjust the thermostat in a way you don’t like? 7. If your partner adjusts the thermostat / temperature in the house, which are they most likely to do? 8. Who controls the thermostat in your home? 9. Have you ever argued with your partner about the right time to turn the heating on? 10. Have you ever argued with your partner about the temperature the thermostat is set to? 12. Do you ever change the temperature on the thermostat when your partner is not looking? 13. Do you own a remote or app to control the heating? 14. Have you used a remote or app to control the heating behind your partner’s back? 15. Has an argument ever broken out between you and your partner as a result of them changing the heating settings behind your back? 16. Which of the below most closely applies to your partner? 17. How much do you agree or disagree with the following statement: ‘I have considered breaking up with my partner because of their irritating thermostat-adjusting habits at least once’? 18. Does your partner have any annoying habits which get on your nerves? 19. Which of these annoying habits does your partner have? Tick all that apply. 22. Have you ever argued with your partner about costly energy bills? 23. If you own a car, do you argue with your partner about the heating whilst you are driving? 24. Do you ever get too hot at work? This article was posted in Heater Hire and tagged Andrews Heat for Hire, temperature in the home, thermostat wars. Both comments and trackbacks are closed.